This necklace set is made from brass metal and beautifully designed with purple kundan stone and pearl as shown. 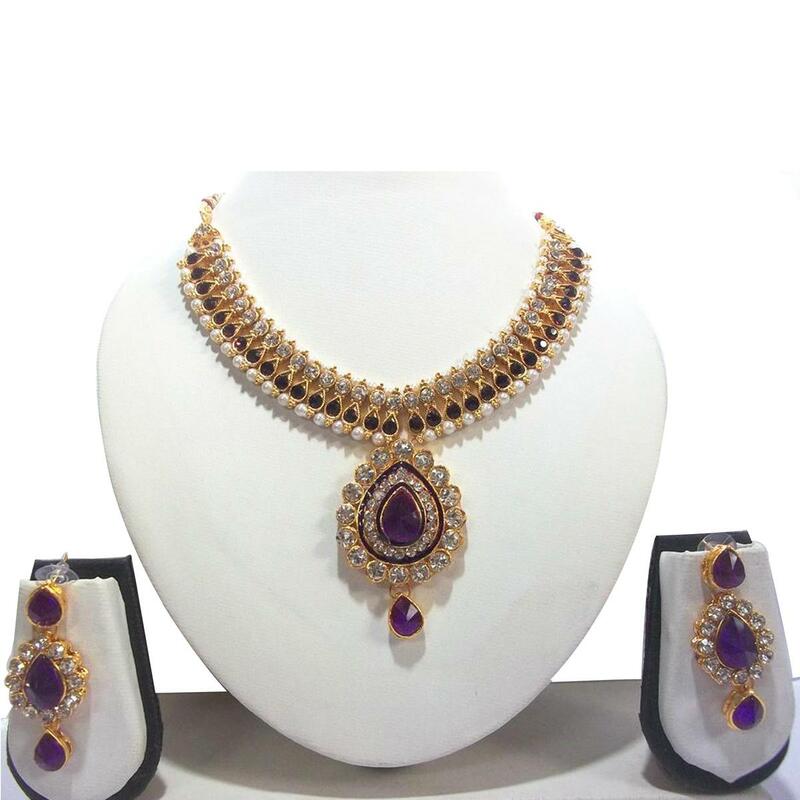 You can wear this necklace set for wedding ceremony or house warming parties. The set consists of a necklace set & a pair of earring set. Material Used : Brass, Pearl, Kundan Mina.